For most dieters, the battle between snacking and fighting off hunger in between meals can be one that is often lost. Surviving on fewer calories each day can be difficult, especially if you are upping your activity level and burning more calories in your workouts. Knowing what foods to eat in order to keep you full longer can be very beneficial to any weight loss plan. In addition, learning ways to fight off hunger when it does strike can give you that added edge to reach your weight loss goals and keep the weight off permanently. When you are dieting, there is nothing more important than eating a healthy, balanced diet rich in lean protein, low glycemic carbohydrates, fiber, whole grains and healthy fats. While choosing healthy, nutrient rich foods is important, it is also beneficial to choose foods in those food groups that will help keep your appetite under control. There are many natural appetite suppressants found in foods we eat daily that you may not even be aware of. Incorporating these natural appetite suppressants into your daily meals can mean the difference between reaching weight loss goals and getting stuck in that dreaded plateau. Water is something that you should already be drinking plenty of each day, whether you want to lose weight or not. Consuming at least 64 ounces of water each day can help with digestion, improve skin and help keep you full in between meals. Studies have repeatedly shown that those who drank one to two glasses of water prior to each meal consumed almost 100 fewer calories. That means that drinking water before meals alone could help you shed a few extra pounds per month, even without any additional dietary or behavioral changes. 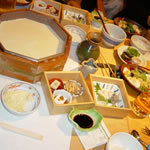 Tofu may be a new food to some people, but it can be a healthy addition to any diet, vegetarian or not. Tofu is a plant protein that is rich in nutrients and helps curb hunger thanks to an isoflavone it contains known as genistein. 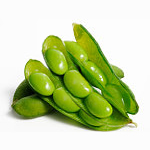 Genistein is found in other food products, such as fava and soy beans, which are both foods that also help curb hunger. 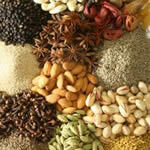 Most people add pepper to their foods without thinking of the added value that it provides. Adding pepper to your meal not only improves taste, it also helps boost metabolism and shed excess water. Consuming pepper promotes the body to naturally shed water through sweat and urination. This not only helps you lose weight, it also helps eliminate toxins. 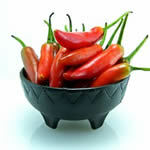 The metabolism benefits from pepper can also help you burn an extra 10 calories per meal. A study published in the journal of Physiology & Behavior showed that even just a half teaspoon of cayenne pepper can have this effect. If you do not regularly consume cayenne pepper, you could cut up to 60 calories per meal by starting to add it to your favorite dish. Adding cayenne pepper to a few meals per day can help you lost extra weight with little to no effort at all. Sweet potatoes contain a specific type of starch that slows their digestion and keeps them in your stomach for a longer period of time. This helps keep you full longer, especially when consumed with other more easily digestible foods. 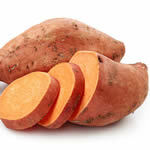 Sweet potatoes are also packed with vitamins and minerals and are a sweeter option to the basic baked potato. Some like to sweat during meals, courtesy of the hottest hot sauce they can find. These individuals may be onto something. It has been shown that consuming foods with hot sauce added to it can help provide feelings of fullness sooner and prevent you from overeating. 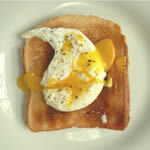 eggsEggs are a super food, especially when consumed in moderation as a part of a healthy, balanced breakfast. They are packed with protein and provide minimal calories, especially when consumed without the yolk. A study conducted by the Pennington Biomedical Research Center showed that those who consumed eggs or egg whites for breakfast were more likely to feel full for the remainder of the day when compared to those that ate wheat protein, such as that found in cereals and breads, instead. In addition, those studied also consumed over 300 fewer calories per day than those that did not include eggs in their breakfast meal. Apples are loaded with fiber and pectin, both aspects of the fruit that help it act as a natural appetite suppressant when consumed. The mere texture of an apple also helps keep you full longer because you have to take your time to consume it, especially if you eat it without peeling it. 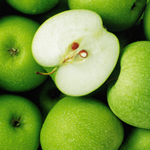 Apples take some time to chew; slowing down consumption and giving you time to feel full before you eat too much. 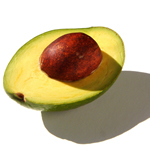 Avocados are full of healthy fats, and they are packed with plenty of fiber as well. What avocados also have, though, are plenty of calories. These delicious treats certainly help suppress your appetite, but they should be eaten in moderation and added to foods instead of eaten alone. Adding avocado to your salad, toast or sandwich can help keep you feeling full for a longer period of time after your meals. 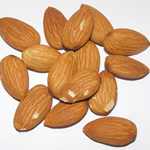 Almonds are rich in antioxidants, magnesium and vitamin E. They are also packed with healthy fats, fiber and protein. That is what helps keep you feeling full after eating them. A study published in the Journal of Nutrition in 2008 showed that eating almonds can make it easier to stick to a diet and lose more weight because of the high satiety value of almonds. According to the British Journal of Nutrition, the high satiety of almonds is likely due to the perfect blend of fiber, protein, texture and flavor in each nut. 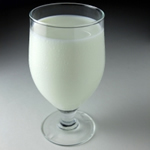 Dairy seems to be getting a bad rap lately and many are cutting it out of their diets completely. All foods are ok to eat in moderation, but dairy products are especially beneficial, most often when low fat or skim options are consumed. Several studies have shown that consuming at least one serving of dairy per day, such as a glass of skim milk, low fat cottage cheese or low fat yogurt, can significantly decrease cravings for unhealthy foods. Ever wonder why you feel full before the sushi even gets to your table? The culprit may be the edamame that arrives almost as soon as you sit down. Just a half cup of edamame provides almost 10 grams of protein and less than 100 calories. They are also an excellent source of fiber. So enjoy your edamame before your sushi arrives and save on calories and money. Oatmeal is an American breakfast staple. It is a healthy whole food that provides plenty of soluble fiber, without added sugar and processed carbohydrates. The soluble fiber in oatmeal, about 5 grams in just a half cup, helps keep you full longer and the low glycemic aspect of it suppresses hunger by preventing sudden blood sugar spikes. 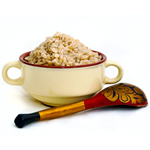 When eating oatmeal, it is important to eat plain, steel cut oats and stay away from flavored varieties that contain high amounts of sugar. For added flavor, add fresh fruit such as berries or sliced bananas. 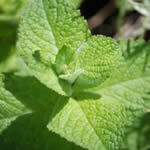 You do not even have to consume mint to benefit from its calming, appetite suppressant effects. Studies have shown that the mere scent of a mint candle or fresh cut mint leaves can prevent overeating and provide a feeling of fullness. If you prefer, you can drink a warm cup of mint tea or add mint to your favorite smoothie as well. When some people hear that chocolate can actually help curb hunger, they tend to believe that they can eat an entire chocolate bar and still be able to manage their weight. This is obviously too good to be true and most certainly not the case. 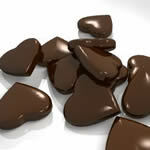 All you need is a small piece of dark chocolate that contains 70% cocoa or more. Even a small one to two ounce portion will help decrease your appetite and slow digestion. Leafy green vegetables such as spinach, Brussels sprouts, Swiss chard, kale and romaine lettuce have high nutritional values and provide plenty of soluble fiber go keep the digestive system working at its peak. This helps prevent increased fat storage and will also help you keep hunger at bay. 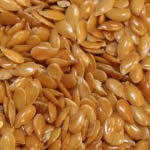 Flaxseeds are an excellent source of fiber and omega-3 fatty acids. They are also convenient to eat because they can be added to virtually any food. By adding flaxseed to your yogurt, protein shake, oatmeal or soup, you can reduce your daily caloric intake because flaxseed has been proven to help you feel full faster and suppress appetite for a longer period of time. 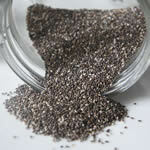 Chia seeds have recently become very popular among dieters because of their filling effect. When consumed, they are typically added to a beverage and swell when blended in. This helps you feel full faster and prevent snacking between meals. Try adding them to oatmeal or smoothies for a power-packed health kick that you'll want to have often! 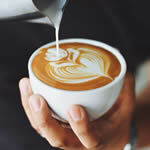 A moderate amount of coffee each day not only helps suppress your appetite, it also gives your metabolism a slight boost to help you burn more calories throughout the day. One of the other bonuses that you get from coffee is that extra bit of energy it gives you thanks to the caffeine content. The caffeine in coffee beans is actually what contains the antioxidants that help give you all of the added benefits. 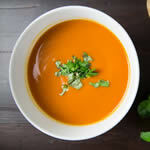 Soup is typically a low calorie food that covers all bases when it comes to nutrients. A basic, low sodium vegetable soup with added protein, such as lean beef or chicken, can provide all of the essential vitamins and minerals you need in a meal with minimal calories. Try enjoying a cup of soup before dinner each evening. Doing so on a regular basis can help prevent consuming extra calories during your main course. For many years, the Asian culture has incorporated ginger root into virtually every meal. 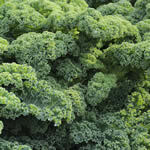 The secret to this wonder food is the stimulant benefit it provides naturally to the body. 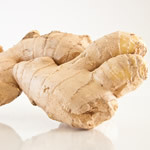 Consuming ginger can give the body extra energy and improve digestion. This can help stave off hunger, even if for a short period of time. 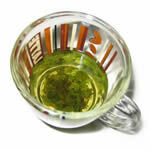 Have you ever wondered why so many people consume a cup of green tea at breakfast and after meals? One of the main reasons is one of the unique ingredients that green tea contains known as catechins. Catechins help the body prevent a spike in blood sugar and insulin. By preventing sudden spikes in blood sugar and insulin, you are helping your body reduce fat storage and maintain your blood sugar stable. By preventing sudden rises and falls in blood sugar, you are able to control your appetite and prevent hunger from striking again soon after a meal. When most people think of juice, they think of a sugar laden beverage with little to no nutritional value. 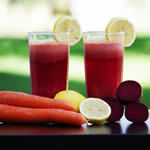 They are right if it pertains to most fruit juices, but vegetable juices differ. Vegetable juices tend to have a much lower sugar content, if any, and provide a feeling of fullness that you cannot get from fruit juice. Studies have shown that those that consume a glass of vegetable juice before a meal consume fewer calories, thus leading to increased weight loss. 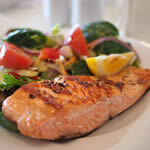 Salmon is a fish with some of the highest amounts of omega-3 fatty acids and provides plenty of protein as well. In addition, when you consume salmon, your body responds by producing more leptin. What is leptin? It is a hormone that can suppress hunger and help keep tempting treats at bay. Salmon is an all around super food. In addition to consuming foods that can help keep hunger at bay, you can also incorporate some simple strategies to help prevent overeating and control cravings. Some people avoid strenuous workouts when dieting because they feel this will make them want to eat more afterwards. This may make sense to some, but the benefits you get from exercise last much longer than just the hour or so you spend at the gym. You will continue burning calories for hours after a workout, providing health benefits far beyond what goal the machine says you accomplished or the calories it says you burned. In addition, research has shown that those that incorporate workouts into their daily routine consume almost 200 calories less on average than those that do not exercise. So do not be afraid of hitting the gym a little harder because you will be ravenous once you are done. Simply have a healthy, protein packed snack handy to eat right after your workouts to refuel immediately and the benefits of daily exercise will soon pay off. Boredom is one of the main reasons why most people tend to overeat. They are at work or at home and are tempted to reach for the delicious snacks that may be nearby. If you are home, it may be the treats you bought for your kids, and if you are at work, it could be the office donuts that your boss brings in every morning. In order to prevent falling victim to these diet disasters, plan your meals and your snacks ahead of time. Keep healthy foods handy and ready to eat. Nuts, string cheese, fruit, sliced vegetables and yogurt are ideal foods to have around. They are easy to grab and are much better options than most office treats and kids’ snacks. Drinking water or just getting up and going for a walk can also be helpful techniques in avoiding mindless eating. Over the last 50 years or so, the average size of dinner plates has grown dramatically. Many attribute this as being one of the main causes to the continuously expanding waist lines of most Americans as well. In 1960, the average dinner plate measured just nine inches and held about 800 calories. By 1980, the plate had grown an inch and increased calorie capacity to 1,000. Currently, the average dinner plate has reached an average size of 12 inches and can pack up to 2,000 calories on average. This is more than double what a plate in the 1960s could hold. After looking at these numbers, it is not surprising that weight is an epidemic in America and Americans need to get their hunger and appetites under control. The best way to control portion size and prevent overeating is to revert back to the plates people used 40 years ago. Try using a smaller plate at dinner, such as a salad or dessert plate, and avoid going back for seconds and thirds when possible. This can lead to consuming hundreds of fewer calories at each meal, thus leading to increased weight loss over time.